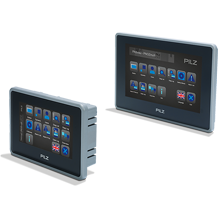 PNOZmulti is the worldwide safety standard for all machine types. Whether configuration, documentation, commissioning or maintaining – with PNOZmulti you can do this completely without programming skills. 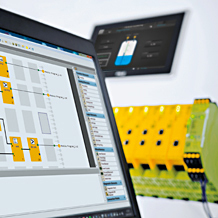 Find out more in this Newsletter edition about to monitor presses safely with the new expansion module for the configurable small control systems PNOZmulti 2. 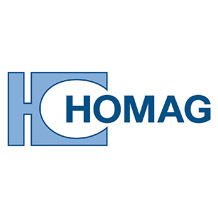 In addition, we show you how HOMAG successfully uses the configurable safety systems PNOZmulti in practice. The digitalisation of factories leads to an increasing networking of plants. But how do you protect your machines and plants from cyberattacks? In the current whitepaper "Security", we introduce solution approaches that have been proven in practice. In addition, you can find out how to ensure the functional safety (Safety) of your plant and how to protect man and environment from any threats. White Paper "Security" – download now! Maintain a comprehensive overview of your plants and machines! 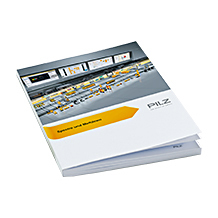 With PMIvisu v704e and v707e Pilz supplements its portfolio by cost-optimised diagnostics and visualisation panels. Find out more now! High-performance lasers are extremely dangerous. How can plant operators be protected from the dangerous beams? 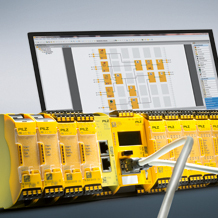 Find out more about how HOMAG safeguards its plants using the freely configurable safety system PNOZmulti and the process guarding system PSENslock!